Not everyone gets to haul trailers in Florida during the winter. If you’ve been watching the weather lately, you know that even the Sunshine State has had its share of snow and ice. 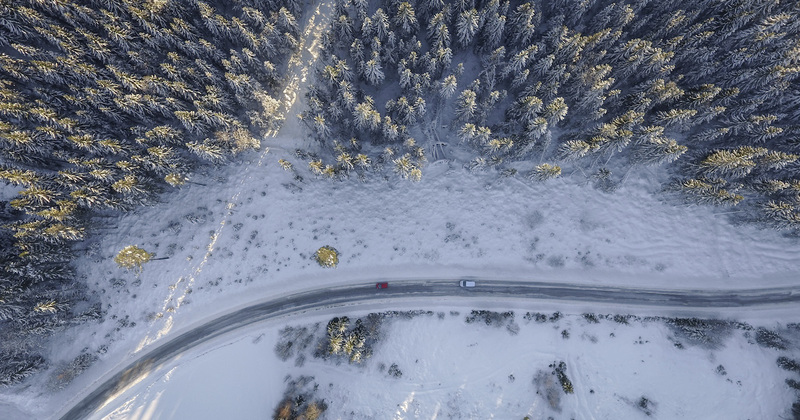 Knowing how to drive in winter is critical, regardless of where your route takes you. You have to take greater care out on the road – for yourself and other drivers on the road with you. To stay safe, you’ll have to make some changes to how you drive. Here are some winter driving safety tips that you may have forgotten about. What you do before you get on the road and once the weather turns bad can determine whether you make it to your destination without an accident or not. Never skip a pre-trip inspection. Make sure you have enough fluids, your windows and lights are clean, and that your trailer is loaded properly. Keep your fuel topped up in winter weather to add weight over your drive tires. Treat your fuel before getting on the road. Freezing temperatures can make diesel congeal in the tank. Don’t rush to make your deadline. It’s easy to worry you won’t make it and speed up and drive through bad conditions. Take your time and let dispatch know what the weather conditions are like on the road. Slow down. In icy, snowy, or wet conditions, even the legal speed limit is too fast. Keep plenty of space between you and drivers ahead of you. The ideal length is a quarter mile. Whatever you do, don’t drive with the “pack” out on the road. You won’t be able to stop as quickly as you need to. Get off the road if you can no longer see to drive safely or the road conditions are dangerous. Avoid parking on the shoulder of a road. Vehicles coming up behind you likely won’t realize you’re on the shoulder and could slam into you. Do not use your jake brake on icy roads. If your truck isn’t completely straight, avoid over-braking. The trailer could spin and slide out of control. Watch out for known trouble spots on the road: exit ramps, bridges, and intersections. Slow down! Be mindful of black ice and windy conditions as you can easily lose control, especially if the trailer is empty. Pump your brakes – don’t lock them. As you come out of the skid, put your truck into gear instead of coming to a full stop. Slowly accelerate to maintain traction on the road. In a perfect world you wouldn’t be stranded on the road, but in case you are, make sure you can make it through a night of extremely cold weather until help arrives. No matter how long you’ve been driving, it’s helpful to remind yourself how to stay safe out on the road. During the winter – especially with the extreme weather of late – it’s even more important. You’re a big truck out there, and you can’t stop easily or quickly. It’s up to you to keep yourself and other drivers safe in all kinds of road conditions.